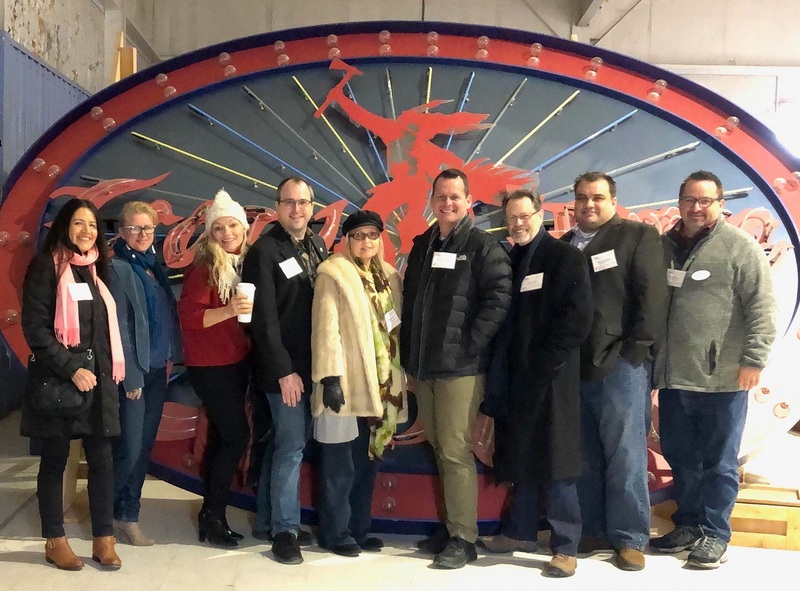 Having a behind-the-scenes event at Seattle’s Pier 57 has been on the wish list of the Themed Entertainment Association (TEA) Western North America Division ever since our Division began organizing events on a regular basis in the Pacific Northwest about a year ago. The dream became a reality on March 14, 2019 with some 70 people attending. 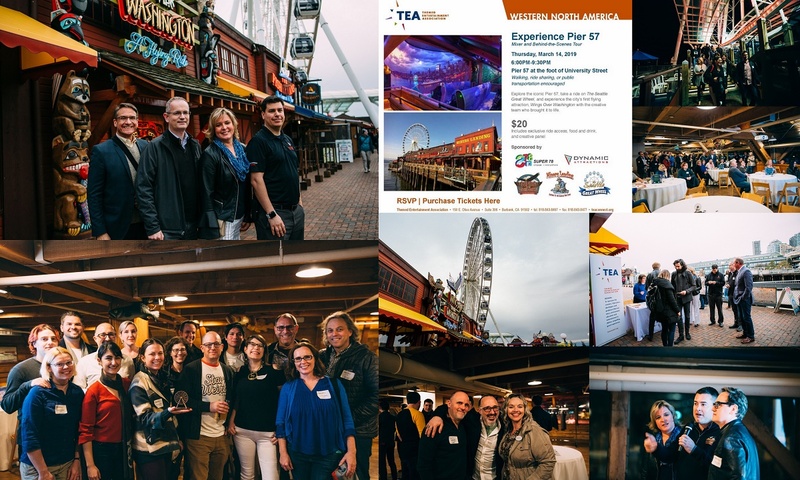 Many thanks to the generosity of the host venue, Pier 57 and owner/operator Kyle Griffith, along with sponsors Super 78, and Dynamic Attractions, for making this event possible - TEA Western Division's largest Seattle gathering to date. Ian Klein of Vizir Productions provided this report. 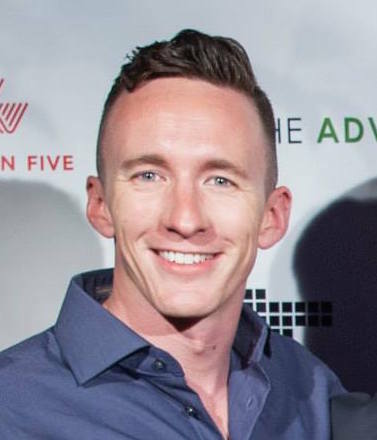 Ian is a member of the TEA Western Division and active in organizing events in Seattle and the Pacific Northwest region. In operation since the late 19th century, the pier played a significant role in trans-Pacific trade and the region’s gold rush where it garnered the moniker "Miner’s Landing," a name it still holds today as a family-friendly shopping, dining, and entertainment destination. Attendees of the event got to experience the evolution of this historic Seattle landmark firsthand, through a mixer and panel in one of the Pier’s beautiful meeting spaces and the opportunity to ride the Pier’s two newest attractions, The Seattle Great Wheel and Wings Over Washington, a unique flying ride that offers rich encounters with the state’s cultures and environments. When guests returned from their flights, everyone gathered to learn more about how these attractions were (impressively) constructed on a structure literally built on trees. Representing the pier was Kyle Griffith, whose family has owned the complex for generations and rounding out the creative panel were Super 78 President and Creative Director, Brent Young and Dynamic Attraction's SVP of Business Development, Cindy Emerick. 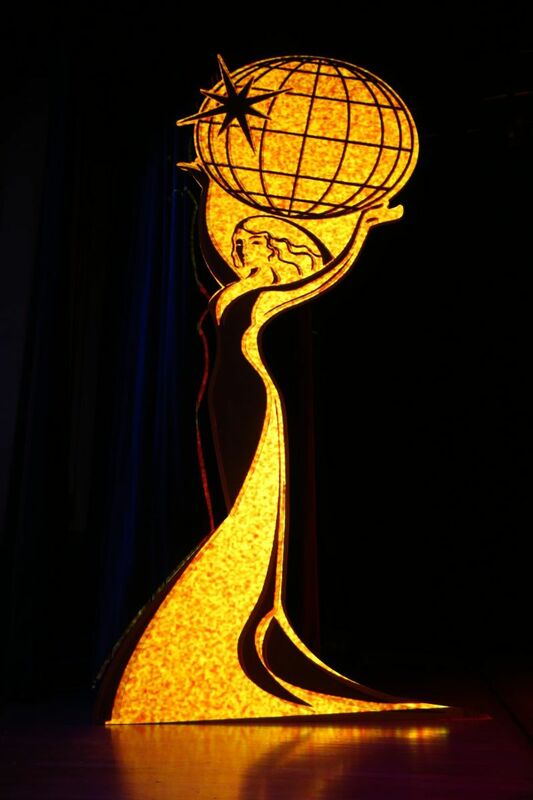 Taking part in the evening’s festivities were members from up and down the west coast up into Canada as well as those from further away in Las Vegas (such as TEA Western North America Division Board President Shannon Martin of Color Reflections) and Orlando. In addition to the event's sponsors, companies represented included Amazon, BRPH, Color Reflections, Horner Science Group, Hötopp, Microsoft, MODE Studios, Vizir Productions, WhiteWater, and more. Whatever their background, guests were simply wowed by the evening - including many Seattle locals who had perhaps not considered a visit to a place so beloved and frequented by tourists, but that has for generations proven its staying power as a true Seattle icon for all. Extra special thanks to our host, Mr. Griffith and the staff of Pier 57 for an unforgettable event. We look forward to our next time at the pier! 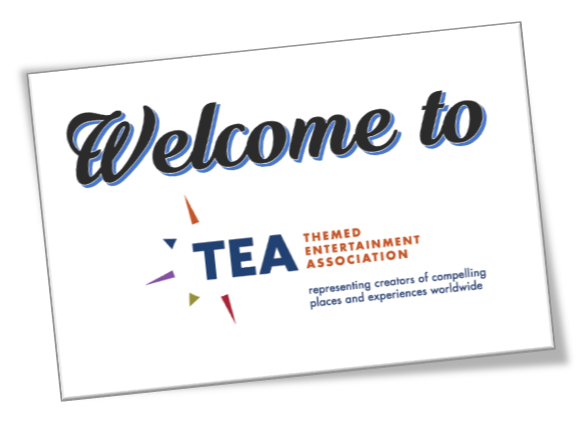 In the meantime, the next TEA Western North America Division event in Seattle is happening Thursday, April 4, 2019 - a night at the world’s largest Comedy/Varieté festival. Tickets and more details can be found here.